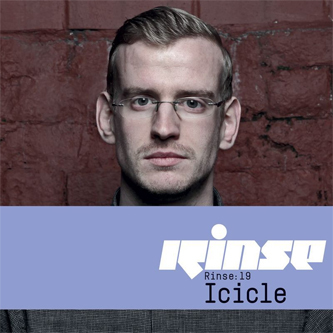 Rinse's nineteenth mix CD is very capably handled by Dutch DJ/producer, Icicle. Poised between Techno, Dubstep and D&B, it stealthily crosses tempo boundaries with ease, incorporating some 20 tracks, including seven of his own productions beside congruous killers from Locked Groove, Distance, Proxima, Youngsta, Killawatt, Rockwell, Sabre and more. The tempo creeps up from two of his unreleased 130bpm productions 'Deep Tech' and 'Kick In The B' through the tightly wound Dub torque of Spinline's murked-out 'Monday Luv' and J. Robinson's 'The Maasai' to a mid section of muscular, near industrial-strength halfstep and a final rinse cycle taking in Rockwell's stunner 'The Rain' and tipping out on Icicle's boosted twyster 'Full Moon'. You'd be hard pushed to find a finer state-of-play selection from these quarters.